Rookie Scott Dixon in his PacWest Racing car during Friday practice for the 2001 CART race at Portland International Raceway. While I spent most of the time focusing on my favorite drivers, I was familiar with Scott from his success in Indy Lights and wanted to get a shot of him in his car. The next year he’d switch to Chip Ganassi Racing where he’d win 4 championships and the Indy 500. He’s currently in contention for the 2017 championship, despite a savage crash at this year’s Indy 500 that almost gave me a heart attack. I love watching him race and am glad I have a photo from the early days. 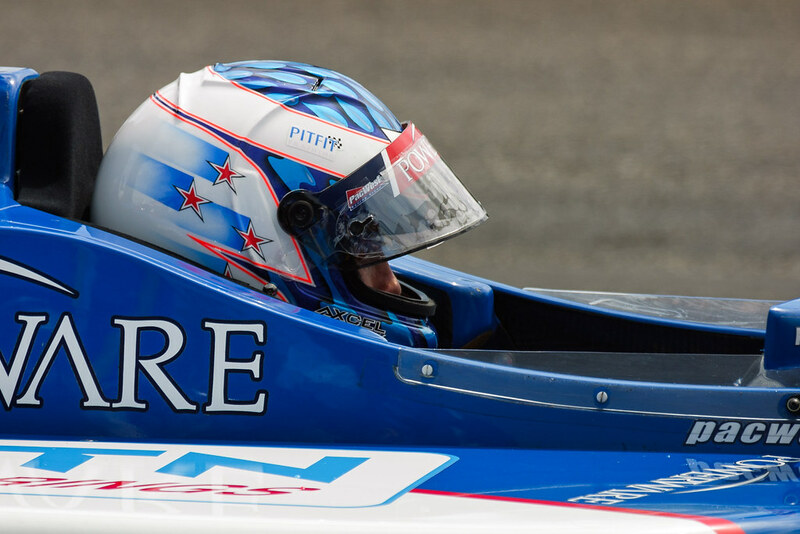 This entry was posted in Sports and tagged CART, IndyCar, Oregon, PacWest Racing, Portland, Portland International Raceway, racing, Scott Dixon. Bookmark the permalink.